[SatNews] CETel has put Newtec Elevations modulators, shapers and encapsulators to work thus enhancing its IP trunking services to Africa and the Middle East. CETel is a global provider of teleport and satellite services. CETel has upgraded its DVB-S2/SCPC links from Ruppichteroth, Germany to seven remote sites in Somalia, Sudan, Cape Verde, Ghana and Iraq, together with other point-to-point and point-to-multipoint networks from Germany to Africa and the Middle Eastern region. CETel has also installed Newtec's EL170 IP Satellite Modulator, EL970 IP Satellite Demodulator equipment based on FlexACM® technology enabling advanced and most efficient output for broadband Internet services for a major telecommunication provider in Africa. 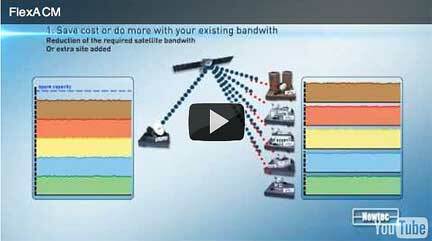 CETel chose Newtec's DVB-S2 FlexACM technology to reduce bandwidth costs and increase revenue. "The installation of the Newtec infrastructure has been the culmination of our drive to deliver higher quality and greater efficiency in our services," says Sergey Raber, Director Operations, CETel. "With the implementation of FlexACM, we can now achieve far more with our bandwidth, and guarantee availability of the link under conditions that would otherwise have caused a service failure. This increased efficiency has resulted in a return on investment within a few months of operation." FlexACM is a unique end-to-end solution — combining a range of cutting edge technologies — for implementing ACM technology, IP shaping, compression and acceleration for highly efficient IP trunking and IP backbone satellite links. The implementation of FlexACM can result in a doubling of the data throughput in a given satellite segment while also guaranteeing 100 percent link availability and reducing operational costs (OPEX) by up to 50 percent. The unique and innovative patent-pending Noise and Distortion Estimator (NoDE) functionality increases the performance of the FlexACM powered satellite link through accurately monitoring the quality of the link and enabling optimum usage of satellite transponders. "Communities in the Middle East and across the continent of Africa truly rely on these vitally important links with the rest of the world," says Serge Van Herck, CEO, Newtec. "With DVB-S2 and the unique advantages of our FlexACM technology, CETel can now provide a massive improvement in the quantity, quality and robustness of the service it provides to these often remote communities, while continuing to increase the profitability of their own operation."